There is inadequate published data referring to bioactivity of lemon balm tea and its Kombucha. The aim of this study, therefore, was to investigate antimicrobial, antiproliferative, genotoxic, and antigenotoxic potential of lemon balm tea and its Kombucha with consuming acidity. Antimicrobial activity was determined by agar-well diffusion method. Cell growth effects were determined in HeLa, MCF7, and HT-29 human tumor cell lines. Genotoxic and antigenotoxic effects were determined using chromosome aberration assay in Chinese hamster cell line CHO-K1. Differences between control and treated groups were evaluated using analysis of variance, at significance level of p < 0.05. 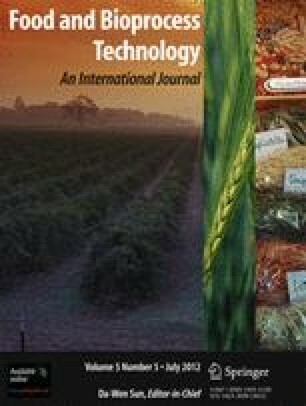 Kombucha from lemon balm tea (Melissa officinalis L.) exibited antimicrobial activity against prokaryotic microorganisms independently of their cell wall structure (both Gram-positive and Gram-negative bacteria), while there was no observed activity against eukaryots (yeasts and moulds). There was absence of genotoxic effects while antigenotoxic effects of lemon balm Kombucha and tea were confirmed on MMC-damaged CHO-K1 cells. For the explanation of cell growth effects that were not concentration dependent, concept of hormesis was used. Antiproliferative activity was lower compared with traditional Kombucha and Satureja montana L. Kombucha, with lemon balm tea showing higher activity than its Kombucha. Support by the Ministry of Science and Technology of Republic of Serbia (Project No. 23011) is greatly acknowledged. Hoffmann, N. (1998). Basic Building Blocks, Nutrients and Growth Factors, What the Kombucha culture needs to survive. Available at: www.kombu.de/nutrient.htm. Accessed 20 January 2009.